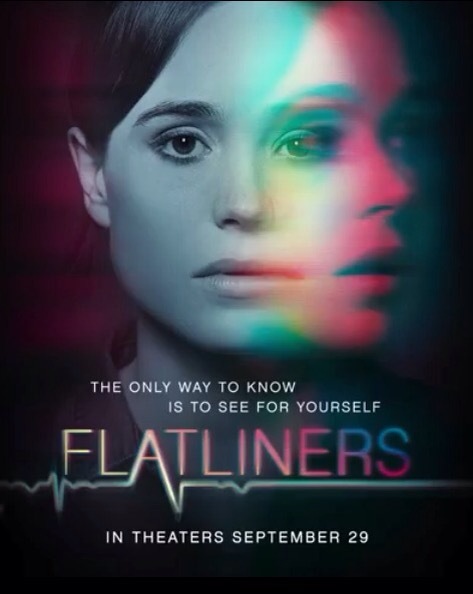 The reboot of Joel Schumacher’s 1990 thriller Flatliners (directed by Niels Arden Oplev) premieres later this month, and is likely to have an uneventful–and short–run in theaters. Reason being, IT has shown remarkable strength for an R-rated horror movie (and so far is making all the monies) but when you figure in Darren Aronofsky’s mother! (starring Jennifer Lawrence and Javier Bardem) being released two weeks later, it will take more than a shot of adrenaline to save the thriller. And looking at the second trailer, you’ll likely get an idea why. It’s not only hard to tell what’s going on and why it’s happening though worse of all there doesn’t seem a particularly–based on the trailer–compelling reason to see it. Posted in actors, directors, genre, horror.Tagged Darren Aronofsky, Jennifer Lawrence, Joel Schumacher, Mother, Niels Arden Oplev. Previous Post Is Apple 00Crazy! ?